The Galaxy A8 is already set to be Samsung’s thinnest phone ever, but it turns out the company isn’t cutting back on other features as a result. 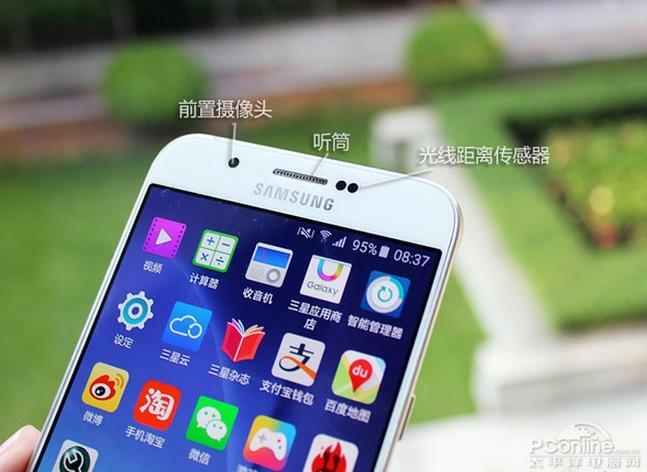 A new leak out of China reveals that the rumored handset will include a fingerprint reader just like the flagship Galaxy S6. 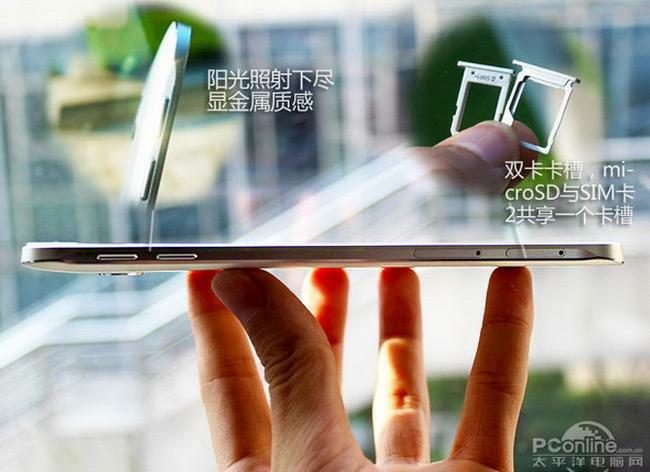 PC Online managed to get its hands on the Galaxy A8, confirming that it really is just 5.94mm thick. 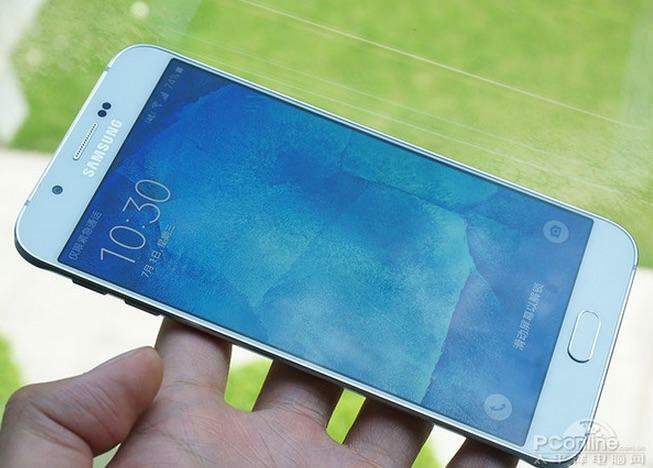 It also features a metal frame and a design similar to the Galaxy S6. It packs a Snapdragon 615 processor, a 5.7-inch 1080p display, a 3050mAh battery, a 16-megapixel rear camera, a 5-megapixel front-facing camera, 2GB of RAM and 16GB of storage. 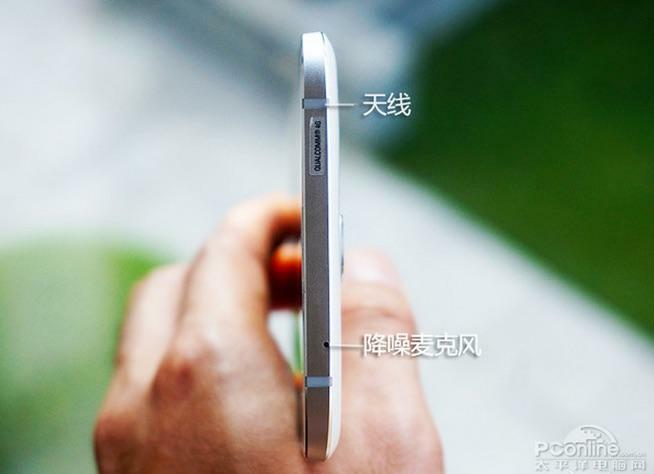 Finally, the home button doubles as a fingerprint reader, just like the company’s current crop of flagship phones. The report also includes a few benchmarks for the device. Unfortunately, that Snapdragon 615 processor can’t really hold up to Qualcomm’s faster chips, putting the Galaxy A8 just behind the LG G3 and Nexus 5. However, the device did make it through a full day of use with 25 percent of its battery life remaining. 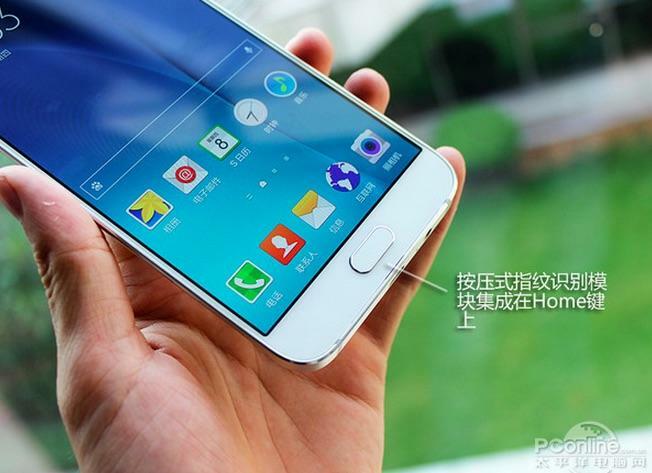 We still don’t know exactly how much it will cost, but PhoneArena suggests Samsung could charge roughly $500. 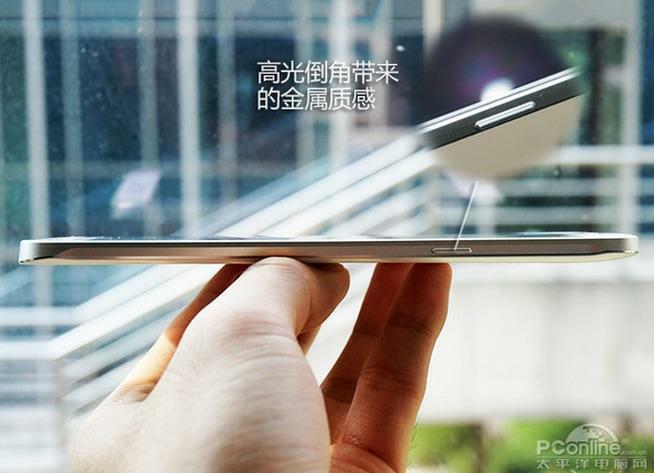 It probably won’t be too long before this super-thin phablet makes its official debut.